One to One Creativity Coaching… SPECIAL EARLY BIRD OFFER! Over the years, many of you have asked me to help you with your creativity/creative work. It’s something I love to do, but between writing, and other projects, not to mention a busy family life, time is short. This is one of the reasons why I plan to publish a creativity (guide) book soon. But nothing can compare to a personal, and where possible, face to face experience for all concerned. So every year I make it a point to work with a few people one on one. 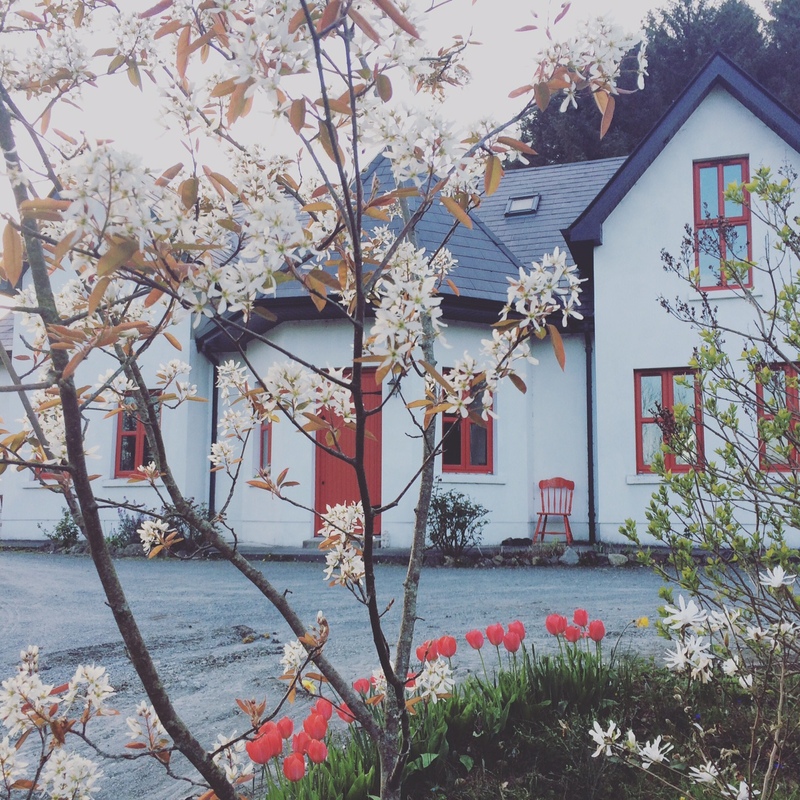 In that spirit, this January I’m making FIVE one to one Creativity Coaching spots available at a special early bird price of just €100 (payment plan available) for the first five people who pre-book with me janebarry17@gmail.com by the 31st of January 2018. Plus I have details of my next LIVE event on March 3rd with ten places. coming soon! Watch this space! Re coaching, in your email please tell me in complete confidence, what you’d like to work on, and what you’d ideally like to achieve from coaching. But please DON’T make payment until you receive a personal email response confirming your place. Coaching requests received after these places are filled will be given the option of joining a waiting list for future opportunities. Creativity Coaching is no different to coaching in any field only the focus is on creativity. If there is a difference between a creativity coach and for example a sports coach, it’s that the athlete will find it easier to find people who understand, support, and can help them in what they do. A Creativity Coach is someone who is deeply creatively expressed, experienced, and fulfilled. They are in a unique position to provide emotional and practical support, and understanding, to fellow creatives. And to support people in exploring their creative dreams, passions, and inner truth, investigating issues of blocks, self-doubt, anxiety, fear, getting started, motivated, or moving forward, career, creative isolation and loneliness, self-promotion, brand-building, time issues, confidence, failure, burn out, and anything that interferes with the flow, process, and progression of their creative work, potential, and happiness. The list of reasons people try creativity coaching is endless. Maybe you don’t have the right kind of support anywhere else. Maybe you need that extra push to start reaching your goals, have trouble staying on track, finding your track, or staying positive. Maybe you need help moving forward with a current project like writing a novel or going public with and selling your work. Or there may be a specific creative issue; like motivation, finding your voice, fear of being seen/vulnerable, and sharing your voice. Others need help with creative direction, confidence, or loneliness. In that case coaching can help by offering encouragement and support on an emotional and practical level. You might just benefit from the confidence boost coaching brings. Or you might want to deeply explore your current situation, whatever is holding you back, keeping you from achieving your potential. Perhaps you just want to fulfil your creative potential and are ready to invest in that. Whatever the reason a creativity coach helps people achieve what they currently feel they can’t do on their own, or would simply love to have added support in. Imagine what the world would be like if artists/creatives had a deep sense of self-confidence, personal ability, and contentment, instead of doubt, worry, angst, you name it. Creativity Coaching gives people the opportunity to work through aspects of their creative life, including challenges, insights, emotions, breakthroughs and dreams, to result in a reality that allows their work to flow more easily. That is my aim as your coach. And to demystify and empower more people in their creativity. To listen, understand, support, challenge, encourage, inspire, and empower… Whatever stage you may find yourself at, I can help you tap into your creative power, and clear away obstacles, with tools and techniques to assist your creative process, that will help you long after coaching has finished. Creativity coaching is a vast and wonderfully rich topic and experience, it focuses on the process and the individual, not the end product. One of our biggest challenges as creatives is to feel more confident, to stop, or change the mind-chatter, in order to achieve flow and write/create effortlessly from our core. We all benefit from learning creative-life survival methods and skills to help us better navigate our days. Support groups and clubs may be an option in some places, for some people, but there are those don’t want to join a group. An advantage of coaching is that it is done, mostly one on one, though group coaching can be incredibly cathartic, inspiring, and powerful too. 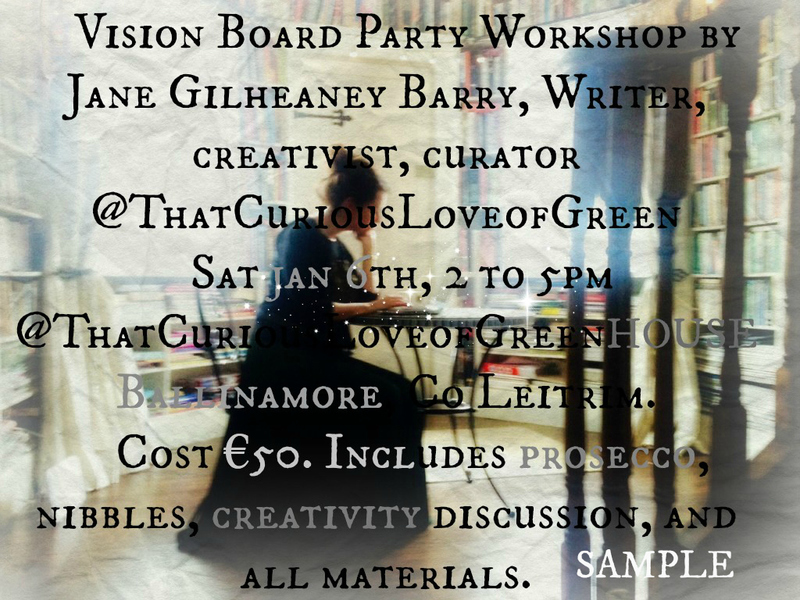 Jane Gilheaney Barry is a Writer, Creativity Coach, and Curator of successful lifestyle and creativity blog That Curious Love of Green with over 25,000 followers worldwide. Previously Jane worked in modelling, then public relations, before starting her own PR and Business Consulting Company specialising in arts, tourism, culture, community development, events, and business mentoring.In 2000 she established a ground-breaking traditional arts initiative, The Shaylyn Group Ltd. She went on to become the sole designer, or soul designer, of a series of innovative arts and culture projects worth a combined investment of over 750,000 euro in Ireland’s North West. In 2011 while expecting her third child she left that world behind, and within one year fulfilled a life-long ambition. She started to write. 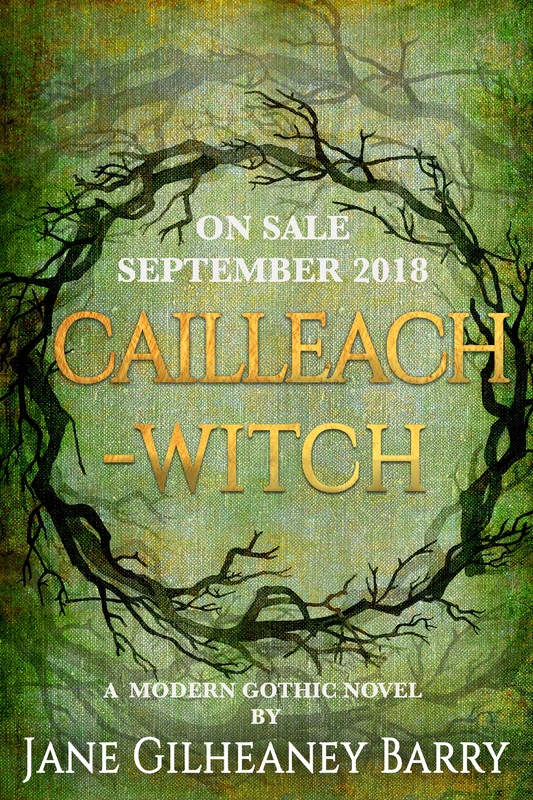 Within one year of starting to blog she started writing her novel, a witchy tale about sisters called Cailleach. Writing The End on her first draft gave her the confidence to tackle another long held ambition, painting. 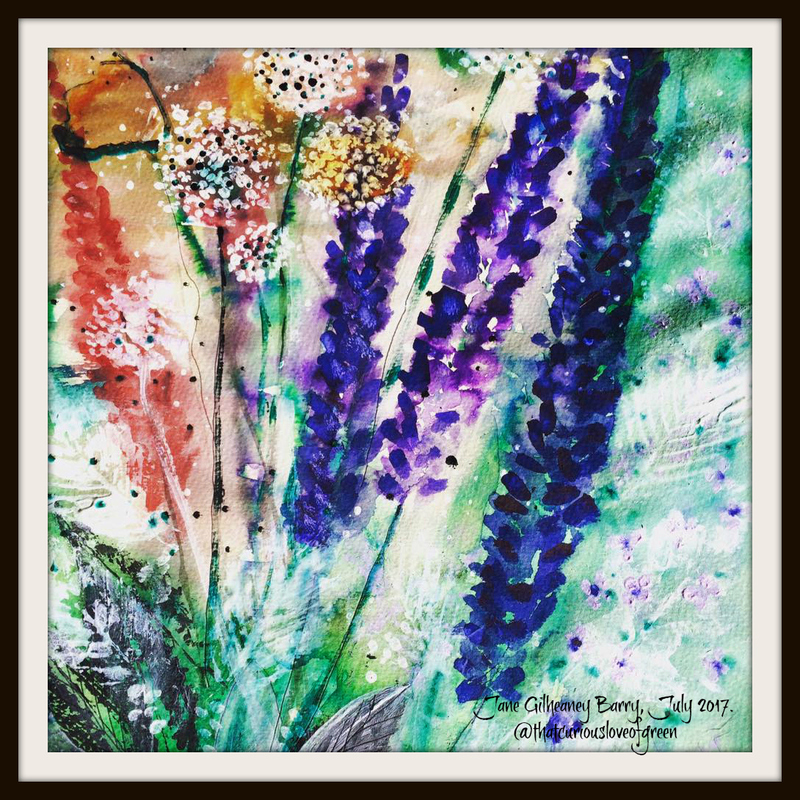 She started painting with a month long daily painting challenge and never looked back. Since then Jane has grown the blog, hosted workshops, creativity bootcamps, and salons. Cailleach~Witch a modern gothic mystery is now available on Amazon. The book is inspired by the local landscape where she grew up, and lives today with her husband Adrian. She has three daughters, Shaylyn 22, Saoirse , and Sadhbh 6. She plans to publish her eBook on creativity; That Curious Love of Green – A Complete Coming Out Guide for Creatives in Hiding, in 2019. Next for Jane, happening now! Is a series of bespoke creativity and coaching events at her house. Live salons, retreats, or ‘at homes‘ like those of old. The dream of creative souls for this, the age of creativity. You won’t find another experience, venue, or indeed host, like it. Jane is available to host workshops in writing and/or creativity, including Vision Board Workshops, for all ages and stages. and for your group/event/festival. Email janebarry17@gmail.comFor testimonials visit the About Me section HERE on the blog. Who is it for? It’s for anyone who’d like to come. Take my live house tour as we talk about creating a characterful home on any budget, find out how I inspire myself, find ideas and inspiration. Banish fear of the blank page in writing or art with my mystery un-blocking spells. Learn how to establish a creative practice or move forward with an existing project, and get in touch with your creative self in a supportive, inspiring environment, plus, light refreshments, tea, coffee, chat, and prosecco of course. This is a rare, believe me, opportunity to inspire and ignite your creativity, and honestly, just have a lovely time in lovely surroundings. Not, your average weekend. I’ll be posting booking details soon but feel free to register your interest in the meantime by emailing janebarry17@gmail.com I need a minimum of seven and maximum ten people to make this one happen. P.S. I have reductions for single parents and for those who took part on my January 6th Vision Board Workshop, so get in touch without delay. 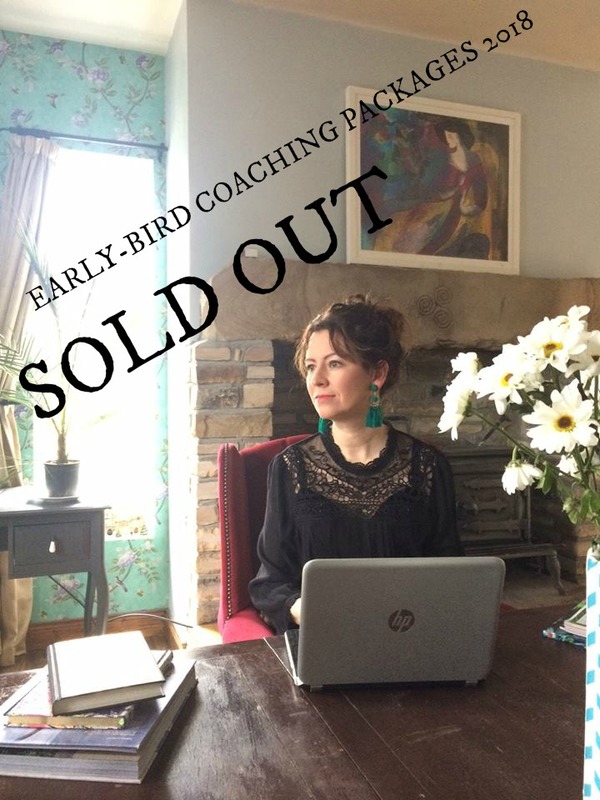 1 review for One to One Creativity Coaching… SPECIAL EARLY BIRD OFFER! An excellent opportunity to claim your creativity…your *self*…with coaching from the lovely Jane Gilheaney Barry. Jane’s heart, friendship, and influence opened up, not just my writing, but my life, in ways I never imagined. If you’re wondering whether or not you should do this…you should. Jump in. Take the leap. Free Gift for You! Printable Art to Frame & Keep.